"I have had this same key board for quite a few years and finaly decided I needed a new one as I use it mainly CAD for which gives the Ctrl key a real thrashing. I don't use the mouse, but it would be..."
"I have a microsoft surface pro, which I love. however I using that keyboard all the time was uncomfortable and I developed tenosynovitis (not necessarily from that). I tried this keyboard as a..."
"Good comfortable keyboard. Sometimes the buttons/mouse does lag but this is a faulty with the software and not keyboard"
I have had this same key board for quite a few years and finaly decided I needed a new one as I use it mainly CAD for which gives the Ctrl key a real thrashing. I don't use the mouse, but it would be more than adequate for the average user. I bought an MX master 2S mouse as CAD requires constant use and this is a better shape for me. Very happy with the kit.I have had this same key board for quite a few years and finaly decided I needed a new one as I use it mainly CAD for which gives the Ctrl key a real thrashing. I don't use the mouse, but it would be more than adequate for the average user. I bought an MX master 2S mouse as CAD requires constant use and this is a better shape for me. Very happy with the kit. I have a microsoft surface pro, which I love. however I using that keyboard all the time was uncomfortable and I developed tenosynovitis (not necessarily from that). I tried this keyboard as a colleague had it, and found it comfortable. I purchased one, and it is great - very comfortable. Also I can still touch type with it as the keyboard is similar enough to the standard one that I didn't have to retrain my fingers. Highly recommend.I have a microsoft surface pro, which I love. however I using that keyboard all the time was uncomfortable and I developed tenosynovitis (not necessarily from that). I tried this keyboard as a colleague had it, and found it comfortable. I purchased one, and it is great - very comfortable. Also I can still touch type with it as the keyboard is similar enough to the standard one that I didn't have to retrain my fingers. Highly recommend. 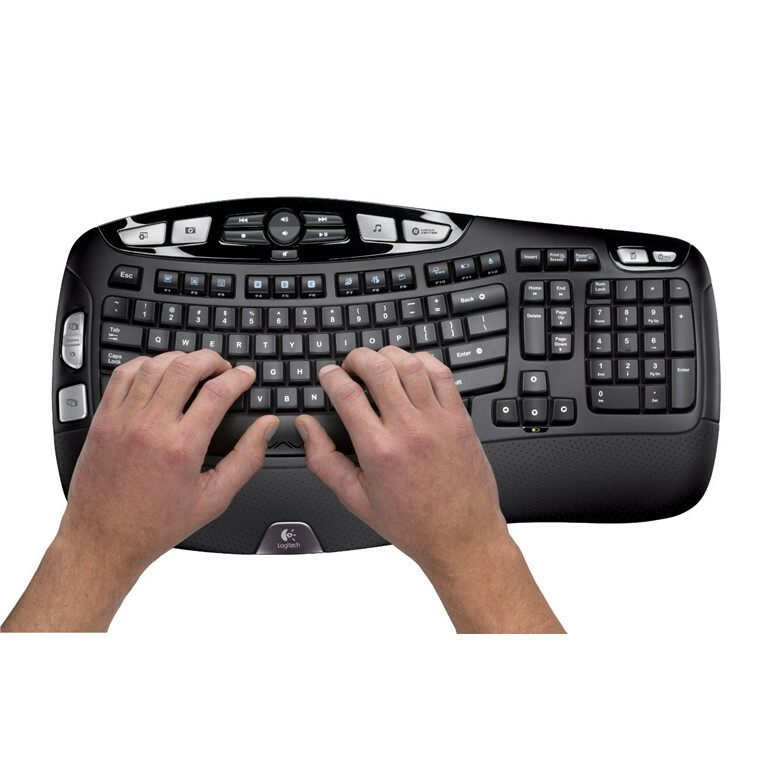 Sorry to say that after a lifetime of using keyboards, I developed RSI in the cartilage of my right wrist after I changed to this keyboard. The keyboard in itself was great and if you are a two-finger typist it would be fine but, for me, the right shift key being 1cm further away and downward and the pressure required to press that with the pinky finger took its toll over a few months and it took me a few more months to figure out what was causing the pain. Just something to think about if you are a touch typist and speed typist as well.Sorry to say that after a lifetime of using keyboards, I developed RSI in the cartilage of my right wrist after I changed to this keyboard. The keyboard in itself was great and if you are a two-finger typist it would be fine but, for me, the right shift key being 1cm further away and downward and the pressure required to press that with the pinky finger took its toll over a few months and it took me a few more months to figure out what was causing the pain. Just something to think about if you are a touch typist and speed typist as well. I have used this keyboard and mouse for a number of years and finally replaced it as the letters on many of the keys had worn off. Decided to upgrade all the team to have the same keyboard and mouse and they all love it. So comfortable to use and feels great for typing. Highly recommend.I have used this keyboard and mouse for a number of years and finally replaced it as the letters on many of the keys had worn off. Decided to upgrade all the team to have the same keyboard and mouse and they all love it. So comfortable to use and feels great for typing. Highly recommend. Consistently reliable and easy to use. Do not pour a cup of coffee over the keyboard!Consistently reliable and easy to use. Do not pour a cup of coffee over the keyboard! I decided to purchase this keyboard for the ergonomics and the fact it uses the same unifying receiver as my Logitech MX Ergo trackball, so I could free up a USB port. Have had it for about 3 weeks now and am slowly getting used to it. It was a bit larger than I expected (485mm x 250mm) but not too big for the space I have it in. 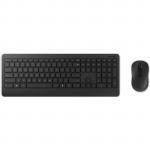 Part of the extra space is due to the wrist support pad, which is around 60mm wide and extends the full width of the keyboard. I find it very comfortable and useful. View MoreI decided to purchase this keyboard for the ergonomics and the fact it uses the same unifying receiver as my Logitech MX Ergo trackball, so I could free up a USB port. Have had it for about 3 weeks now and am slowly getting used to it. The keys are a good size with planty of space between them, which is great if you have larger fingers. I took me a while to get used to the chunky keys, but I'm quite liking the positive feel of them now. The positioning of the F keys in 4 blocks of 3 is different to most keyboards which have them in 3 blocks of 4. This can be a bit strange if you are used to clicking F5 without paying attention, as you tend to hit F4 instead. I haven't found this too much of a problem though. My biggest difficulty with this keyboard is the layout of the Home, End, Insert, Delete, Page Up and Page Down keys. My workflow uses the End key so often it is stored in muscle memory and I keep hitting Delete instead. This will be the most difficult thing for me to overcome as I use a regular keyboard on another computer. However, I think the layout could be quite nice for someone who rarely uses any of those keys other than Delete. 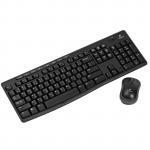 We have used various Logitech keyboards for some time. 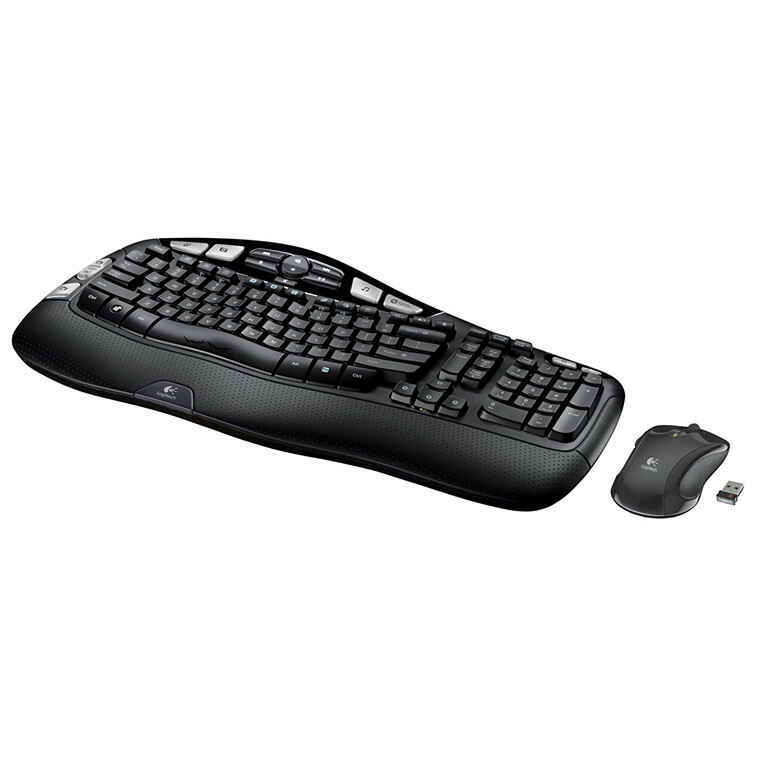 This particular model has an excellent shape and a very comfortable layout and cushion for your hands. It works well, and the layout of the "bonus" keys for music, volume, calculator etc are very convenient and sensible. 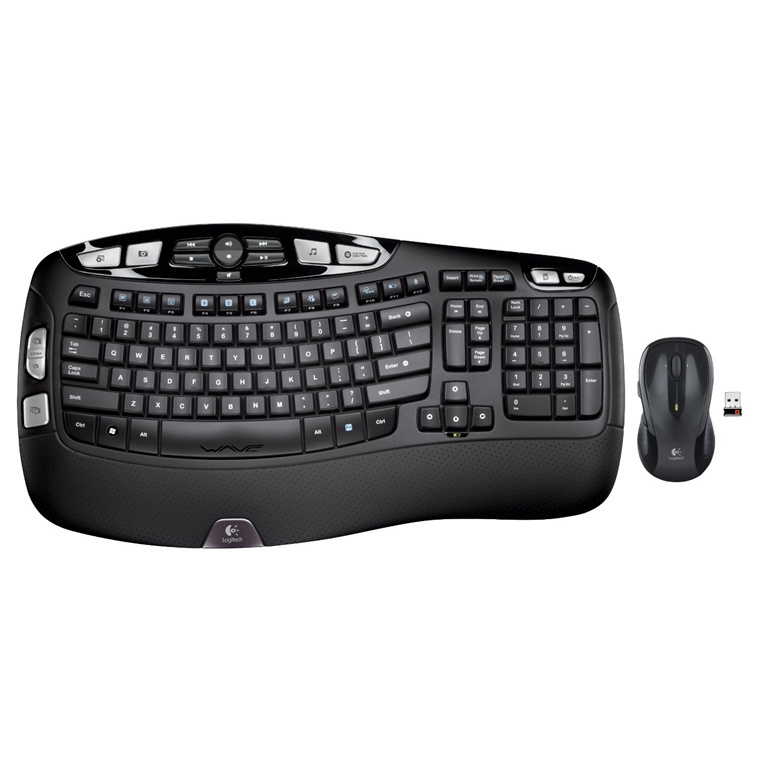 We may end up buying another one of these very soon for my work computer!We have used various Logitech keyboards for some time. 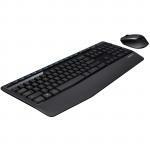 This particular model has an excellent shape and a very comfortable layout and cushion for your hands. It works well, and the layout of the "bonus" keys for music, volume, calculator etc are very convenient and sensible. We may end up buying another one of these very soon for my work computer! Great product and we have had only good feedback from the team members using them. Comfortable and sleek design.Great product and we have had only good feedback from the team members using them. Comfortable and sleek design. 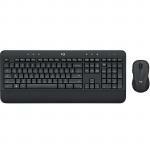 Awesome keyboard and mouse.Awesome keyboard and mouse. 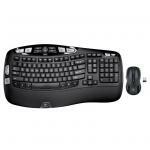 Wireless comfortable keypad with plenty of functions on it, good chunky keys. and the mouse is a nice size larger than my last one.like it a lot. 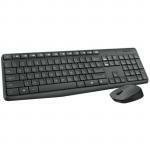 Wireless comfortable keypad with plenty of functions on it, good chunky keys. and the mouse is a nice size larger than my last one.